If you are searching for some free photo databases, you may find it difficult to find such sites which contain images at high qualities. 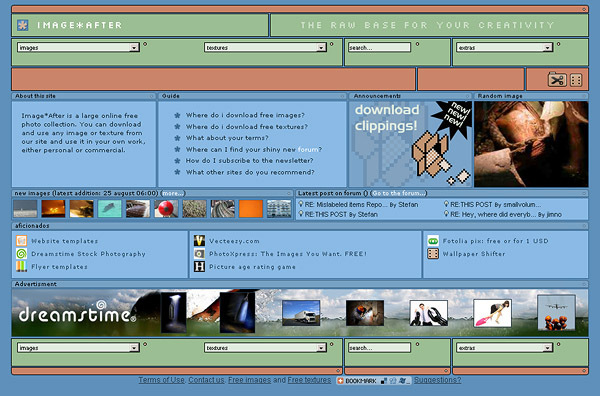 Some artists and designers made such sites in order to share their creations and also to promote them. 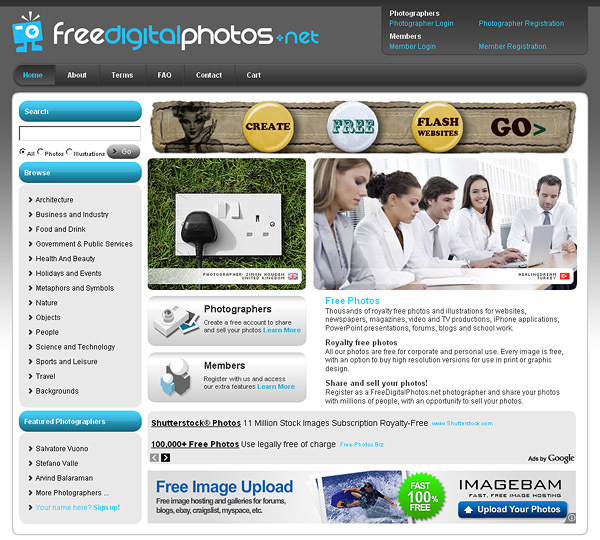 There are some sites which offer the stock photos free of cost but at some sites you have to pay for it. So here is list of sites where you can contribute and download photos at very high quality. But remember that if you are going to use stock photos in your design, you must be aware of terms and conditions and the license agreement if mentioned. You can also visit Depositphotos.com for Stock Photos. If you are amongst them and are looking for ways to do the same, then you can sell digital downloads online over the internet. A very famous and worthy free stock photo site which contains more than 350.000 quality based stock photos with more than 30.000 photographers. In such a huge collection you can find out anything you are looking for, doesn’t matter whether it’s wallpapers for your desktop, any illustration for your personal blog or any other picture for your site. On this site you can also share and exposure your photos. 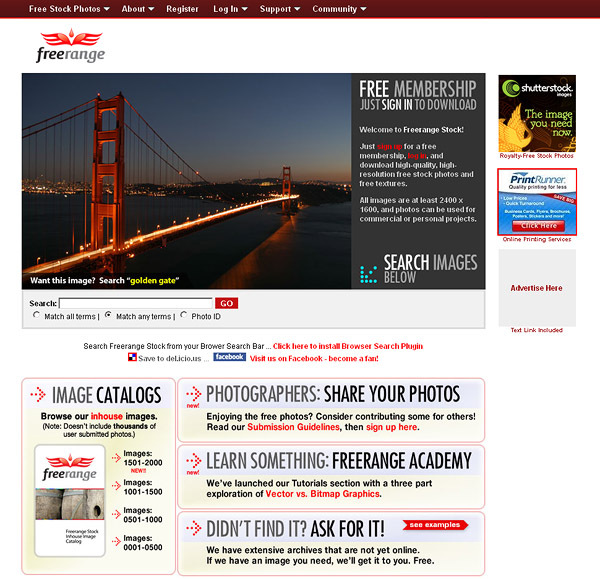 You can also exchange your thoughts and ideas with other photographers via a forum present on this site. Here you can find huge database of photos containing more than 9 million images. 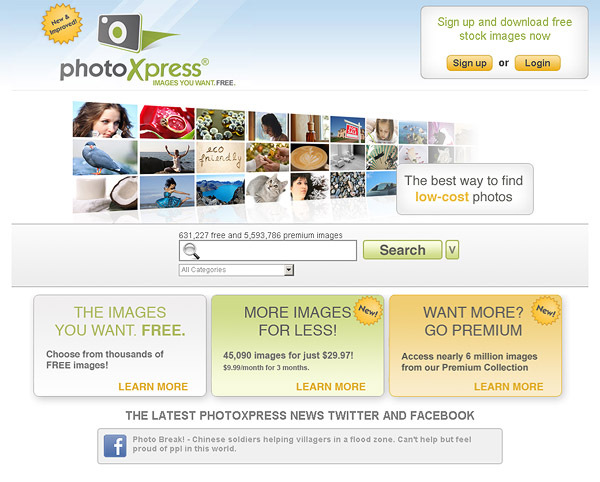 This site offer different packages giving option that you can get photos free or you can get them from on sale stock. Register there and then you can get the photos free of cost and you can also buy high-resolution stock images at nominal price. So if you a photographer you have opportunity to sell your stock images and you get up to 30-60% via each sale made by you. Containing a very huge collection of high quality stock photos available for free and on sale as well. Here you don’t even need any registration and you can download the available free stock images. It’s a wonderful site for stock photos. Both free and on sale stock photos are available. You can free download 1 photo each day, if you sign up and 5 photos if you join PhotoXpress on facebook and can even get 10 photos per day if you offer your personal information. Some special feature makes this site different from all other sites. It checks out several other free stock photo sites at the very same time and gives you result of your search coming from all other sites. In this way it save your time and make your search efficient. It contains a huge collection of photos especially for graphic designers and most importantly all of them are free of cost. You don’t even need any registration, just click on downloads and what you want with high resolution. Its a place where you can download photos free of costs but at a medium resolution with condition that you have to promote them on your site as well. You can also get high resolution photos at nominal rates. 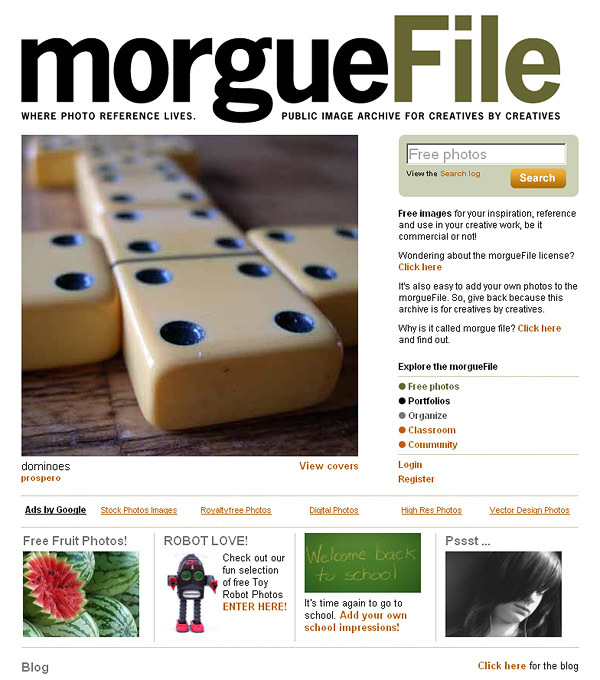 If you want to share and exchange your creative work, you can do that here easily. There is no special authentication needed, you can download a y picture you want. 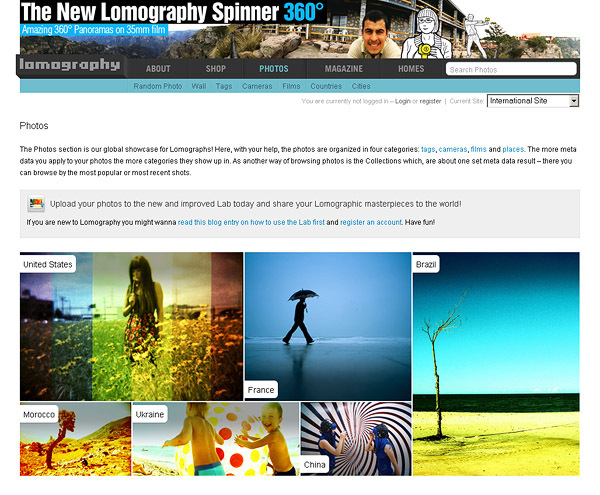 This site contains photographs given by very professional photographers from all around the world. Find a collection of 5000 free stock photos and 8000 cliparts which are completely free of cost. So you can get photos of your choice and it’s really simple and faster than any other site. Excellent work is created here by knowing the fact that it is too much difficult to find out such photos which are free and have good quality. So a graphic designer and some other collaborating creative have tried to solve this problem. What they do is they simply took their own camera and create such photos which have high quality and after that they decided to offer them free of cost. You can also make donation for this site. It’s another site which contains a very huge collection of high quality photos. Here what you need to do is sign up once and then you can download as many photos as you want. If you want to contribute your own photos, you can but remember that there must not be any compromise on quality. This site is specialized in art photography. Unfortunately the resolution of pictures is not very high. Here you can join the club also and can order yourself a good old camera from the site. High level photos taken and uploaded by a graphic designer. You can also check his portfolio. No registration is required and you can download thousands of pictures sorted on different section. You don’t need any registration and you can download digital art and photos. With the help of this site you can comment and communicate with the creators, as this site promotes them very well. 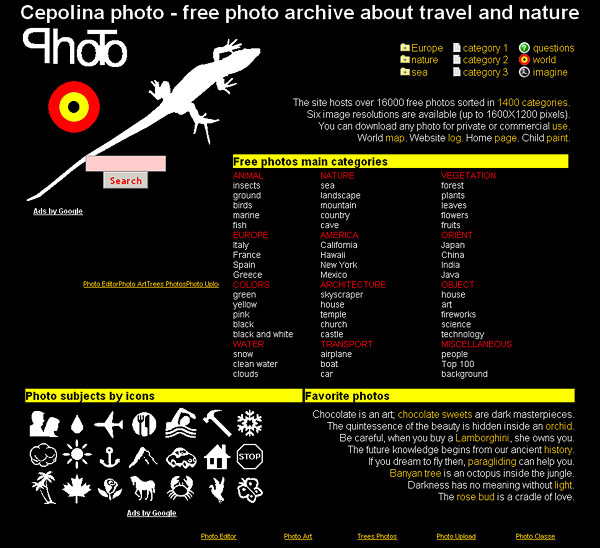 If you love nature, traveling and geography this site is a place where you find wonderful collection of all these things at a very high resolution. No registration required but you have to credit the site on your personal site as well. 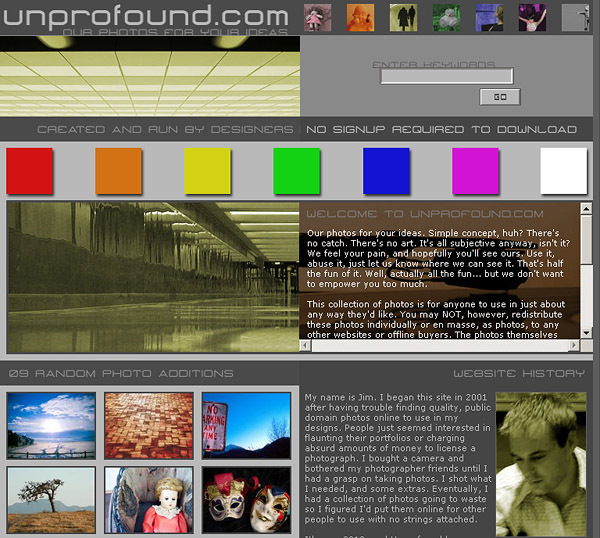 Its a place where images are structured very well so you can find out very easily whatever you want to find. This site contains very big collection of pictures which can be downloaded free of cost and you do not require any registration. No registration needed, you can download a huge collection free of cost. Both medium and high resolution images are available. 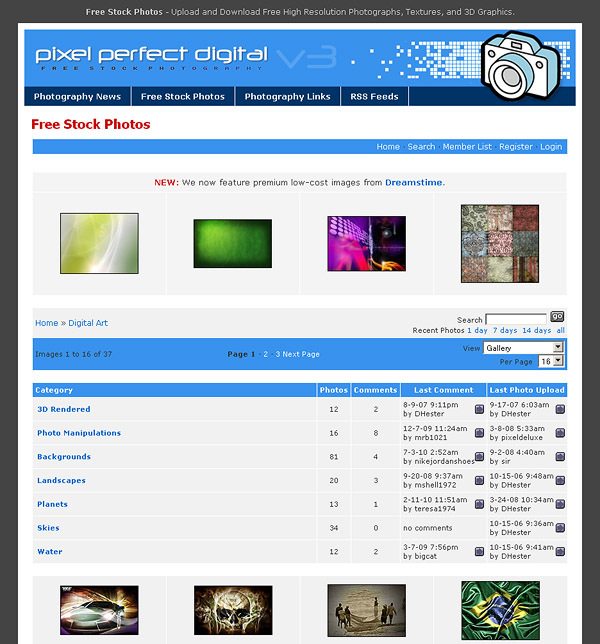 Superb site which not only provides free stock of photos but also frees flash and free audio as well. But here you do not have gig choice range. But you can try your luck! 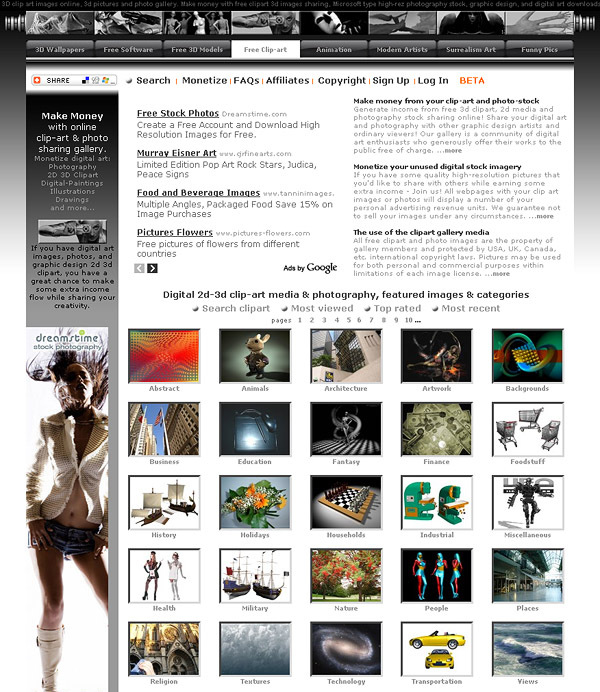 Here 4000 stock photos are available at very high quality with high resolution. No login requires at all, you can download them free of cost. Here you can download the photos as long as you provide a link to the site when you use them. Both medium and high resolution images are available. Special feature like 3D cliparts, 3D wallpapers, 3Dmodels, and Flash animations make this site superior than all other sites. Again no registration required, you can get whatever you want absolutely free. This site is based on creative ideas. Pictures are available for everyone to see and can be downloaded. Such a place which not only contains huge stock of quality photos but also show you the exact place on map of the world where that picture was taken. You can download them for fee but you cannot use them for commercial pupose unless or until you got permission. 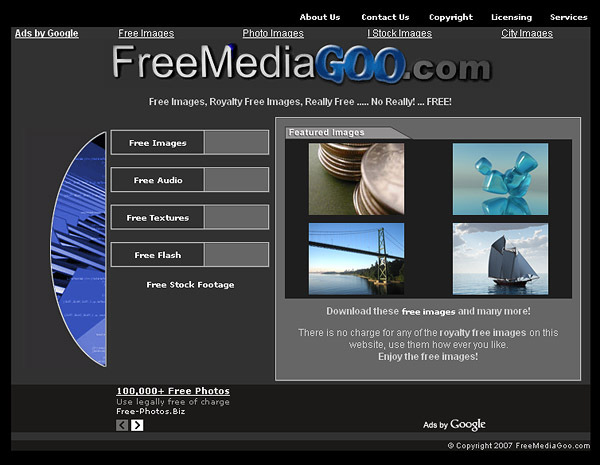 This is one of the most popular photo site having 17,000 images which can be downloaded free of cost. Awesome list! Always looking for new sites and like to have a few in my back pocket when doing design work. Thanks for this, will add these to my master list! Wow!! Thanks for the great resources! I’ll browse through the sites that I have yet to try. 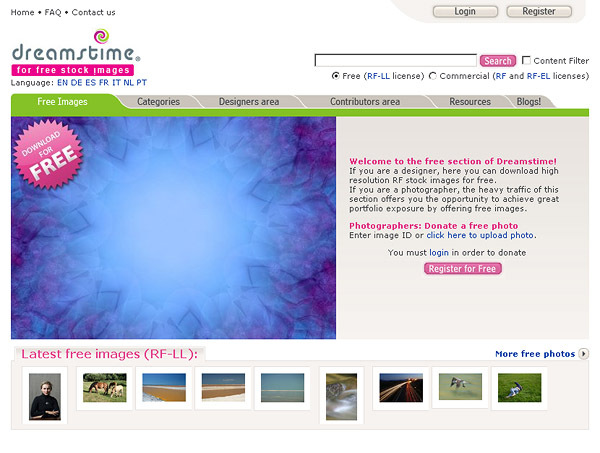 I would love to suggest http://www.123rf.com as they do provide free images as well. I’m using some of their free images once in a while. One I didn’t notice in your list is LoremPixum.com – it allows you to set an image size for royalty free images.. pretty neat. http://rgbstock.com is a new free stock resource. As of late December 2010 ther are over 50,000 images on the site. Thanks for sharing this post.I like post.It contains good examples of 25 best websites resources of free stock photos.